Get Your First Peek At ‘Louder Than Bombs’!!! 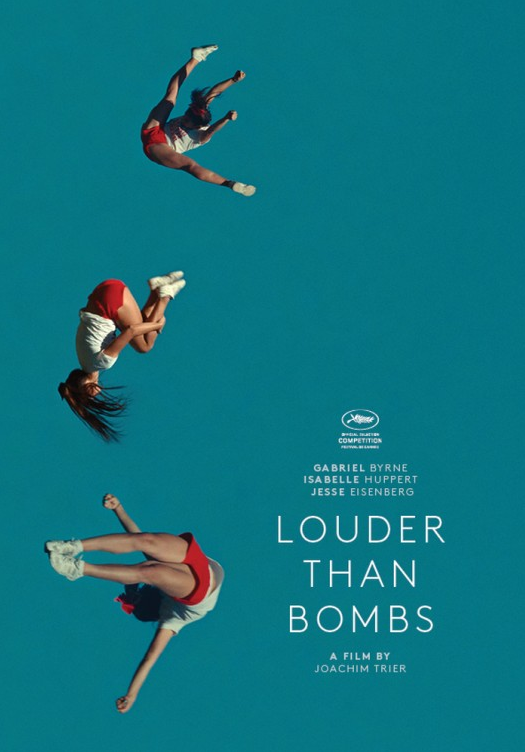 We’ve got the trailer for ‘Louder Than Bombs‘, a film that took the Indie world by storm at Cannes and the Toronto film festival, the film is preparing for a cinema opening of April 8. The pic stars Gabriel Byrne, Jesse Eisenberg, Isabelle Huppert and Amy Ryan. An upcoming exhibition celebrating photographer Isabelle Reed (Huppert) three years after her untimely death, brings her eldest son Jonah (Eisenberg) back to the family house – forcing him to spend more time with his father Gene (Byrne) and withdrawn younger brother Conrad (newcomer Devin Druid) than he has in years. With the three of them under the same roof, Gene tries desperately to connect with his two sons, but they struggle to reconcile their feelings about the woman they remember so differently. This entry was posted on Monday, February 29th, 2016 at 3:24 pm	and is filed under Film, News. You can follow any responses to this entry through the RSS 2.0 feed. You can skip to the end and leave a response. Pinging is currently not allowed. « Stephen King’s ‘The Mist’ Comes To Spike As TV Series!! !